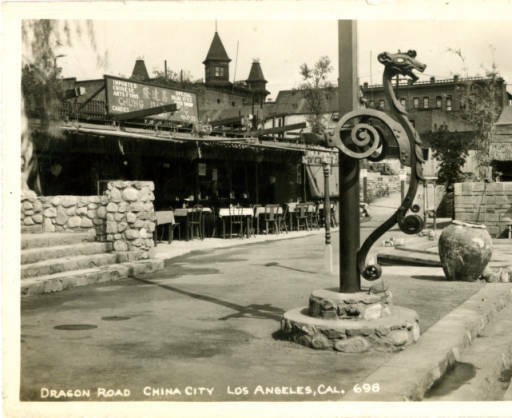 What is the story of the Dragon of Dragon Road in China City ? iron dragon on Dragon Road. crumbling adobe and some saucy little up-to-the-minute Chinese shops. The streamlined dragon didn't start out to be one. a fire-spitting dragon, emblem of China. with a most terrifying expression. the flag of China in its mouth. 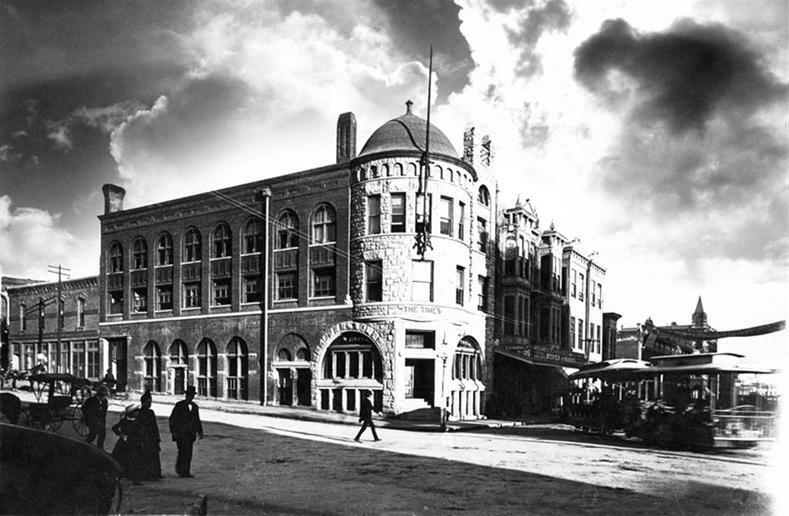 The first LA Times Building on 1st and Broadway. Here is the Dragon again in a later picture. 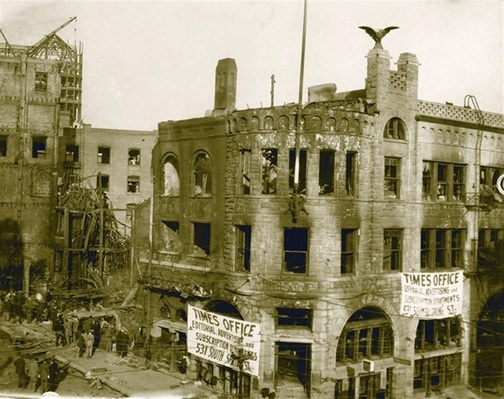 ​After the Labor Union Bombing on October 1, 1910. The Dragon still holds the flagpole. Re-Building after the Bombing. The Dragon is there. 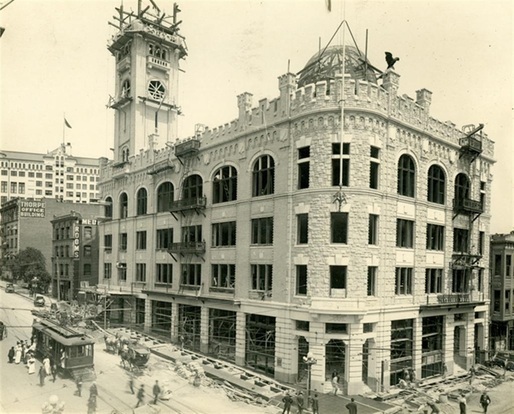 The 2nd LA Times Building with the Dragon Flagpole still there. where movie artists, Tom Kemp, Art Director or William Tuntke, Production Designer, found it for China City. 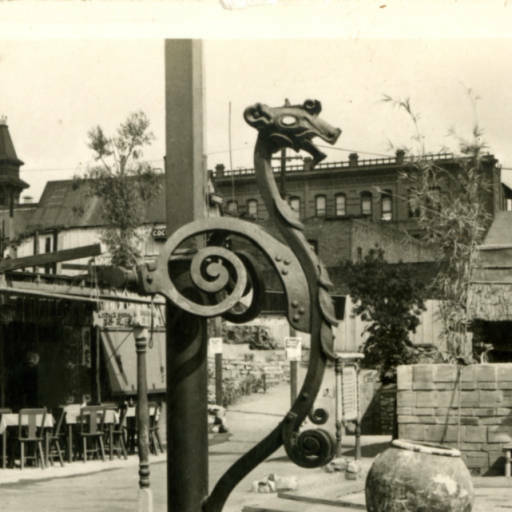 After China City was destroyed by fire, what happened to the Dragon ? Who made it ? 62 years later, does the Dragon still exist ?